Are you good with numbers, data, or spreadsheets? Don’t be afraid to show off your skills — as it turns out, being a “maths geek” is quite lucrative. 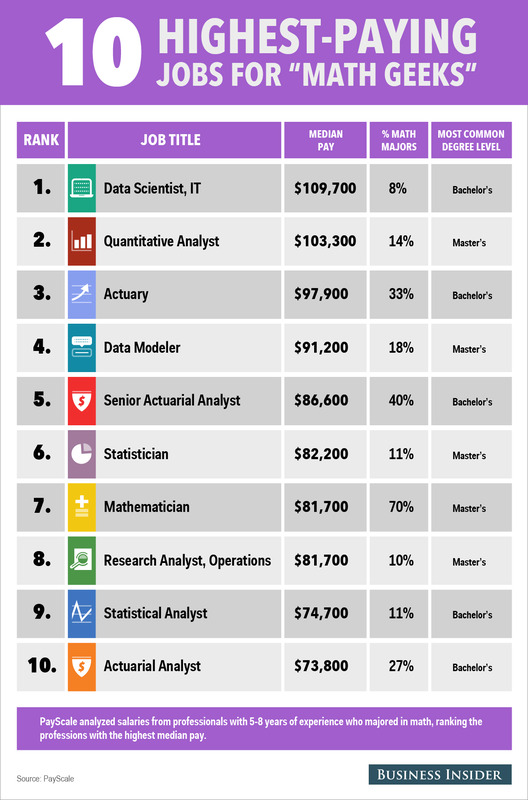 New data from PayScale reports that the median salary for maths majors is $US70,900 — compared to a median salary of $US58,600 for all college grads. Some professions, such as data scientists and quantitative analysts, are even higher, with median salaries upwards of $US100,000. 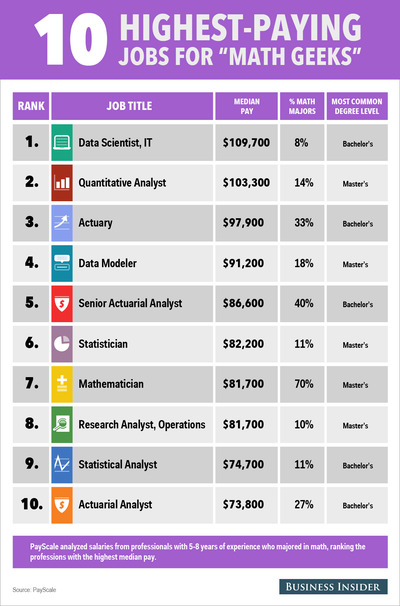 To find the highest-paying ways “maths geeks” can put their skills to work, PayScale looked at the incomes of professionals with 5 to 8 years of experience who majored in maths, ranking those with the highest median salaries.